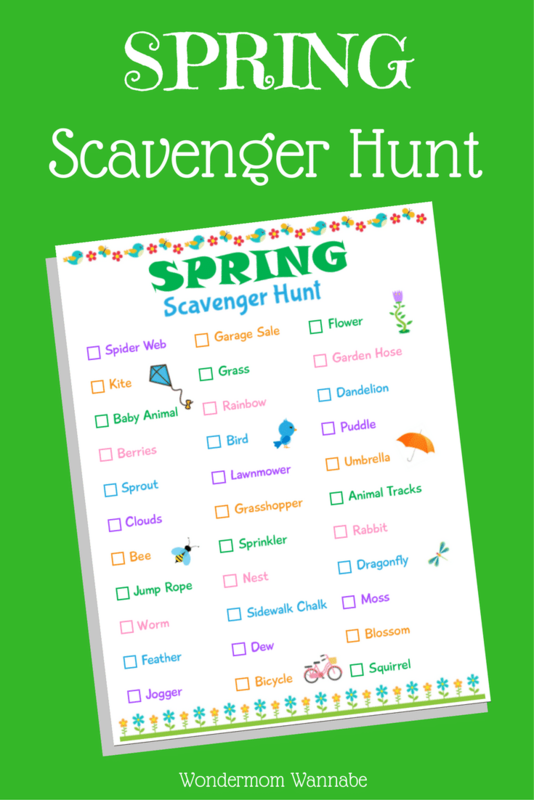 This printable spring scavenger hunt is a fun way to motivate the kids to get out and explore. Like my winter scavenger hunt, this list is full of items kids can find around the neighborhood. Kids love to take pictures. Arm them with an inexpensive camera. Or, better yet, accompany them and take pictures of them WITH the items with your own camera or smartphone. Give each person or team their own list and have them compete to find the most items in a set time period. The winner gets a prize and everyone enjoys a glass of lemonade together after the game. If you don’t want to have players compete against one another, you can instead create tiered prizes. Find 1-10 items, we’ll go on a bike ride after the hunt. Find 11-20 items, we’ll make rice krispies treats together. Find 21-30 items, we’ll have a picnic. Find all 33 items, we’ll go miniature golfing on the weekend. These are just suggestions to get your creative juices flowing. Choose activities and rewards you know your kids will enjoy. 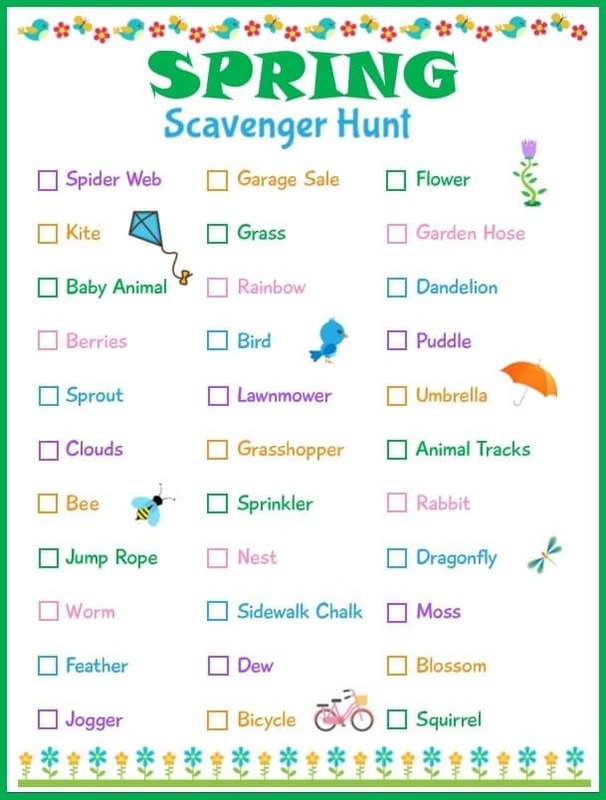 If you’re traveling for Spring Break, give each child a spring scavenger hunt to keep them occupied during the ride. 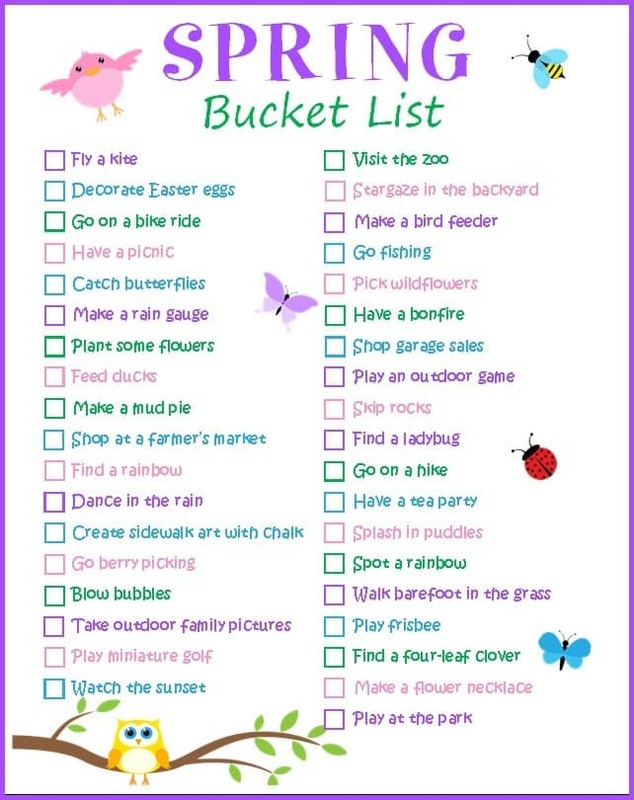 Also, print off my Family Spring Bucket List and try to complete all of the activities.